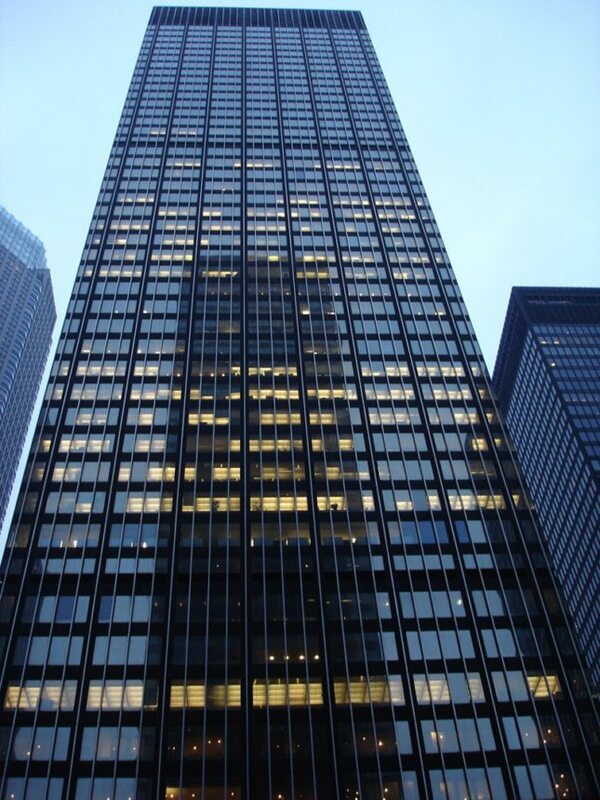 Skidmore, Owings & Merrill’s (SOM) 270 Park Avenue, an international-styled glass-and-steel tower in Midtown Manhattan that Ada Louis Huxtable once described as one of the “sleek and shiny temples” to business, is now scheduled for demolition. As first reported by the New York Times, the building’s current owner, JPMorgan Chase, will be tearing down the 52-story tower for a taller replacement. 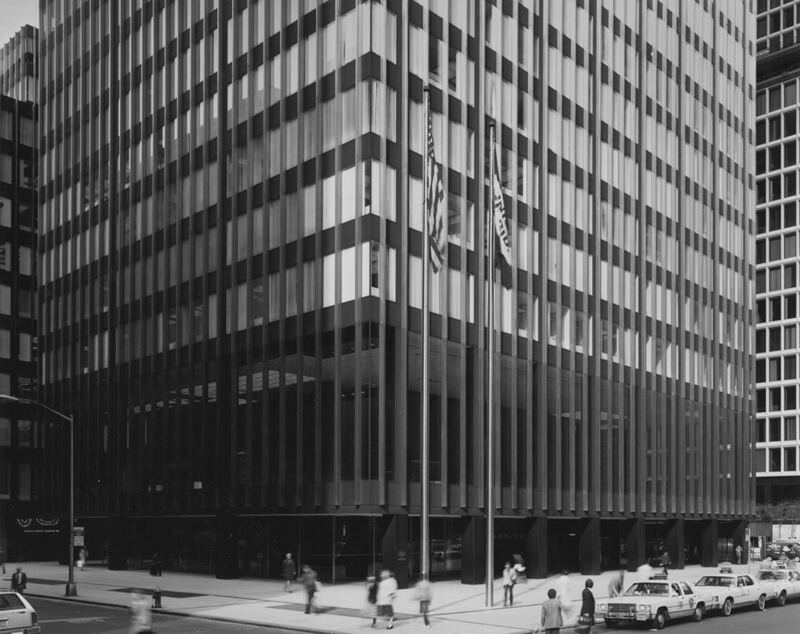 Completed in 1961, 270 Park Avenue, originally the headquarters for Union Carbide, was designed by SOM partner Natalie Griffin de Blois, one of the few women working in midcentury corporate architecture at the time. The 707-foot-tall, slab-shaped tower holds about 1.5 million usable square feet. Chase has called the tower its headquarters since 1996, but have claimed that with 6,000 employees in a building meant for 3,500, the location is now too small. To that end, the company will be tearing down the Union Carbide Building and replacing it with a new 70-story headquarters that could be up to 500 feet taller than the midcentury icon it would be replacing. The financial giant expects that the new tower will be about 1 million square feet larger than its predecessor, and will eventually house 15,000 employees. The expansion plan is only possible under the recently passed rezoning of Midtown East, which allows developers to build taller and denser in exchange for transportation improvements and buying the air rights of historic buildings (with proceeds going towards a public fund). The New York Times reports that Chase will be buying $40 million of air rights, with the money going towards improving Midtown East’s sidewalks, pedestrian plazas and streets. 270 Park Avenue doesn’t seem long for this world, as Chase wants to begin demolition early next year and have its replacement tower finished by 2024. Employees who currently work in the building will be relocated in the neighboring 390 Madison Avenue, as well as 237, 245 and 277 Park Avenue. The public reaction to the announcement has been pointedly critical, especially as Mayor de Blasio has expressed his satisfaction with the deal. Preservationists took to Twitter to bash Chase for tearing down an original tower in Park Avenue’s valley of international offices, and expressed hope that the building could get in front of the Landmarks Preservation Committee before its demolition. No architect for the replacement tower has been announced yet. AN will provide an update when we have more information on the project.